Your Age Group — The older groups (juniors and seniors) tend to draw the most coaches. Memphis Elite-Holmes team is one of the most talented group of 2014/15 players that will be participating in national tournaments this spring and summer. I've been fortunate to have watched the players develop since they were 7th and 8th graders. Key Prospects: 2014, No. 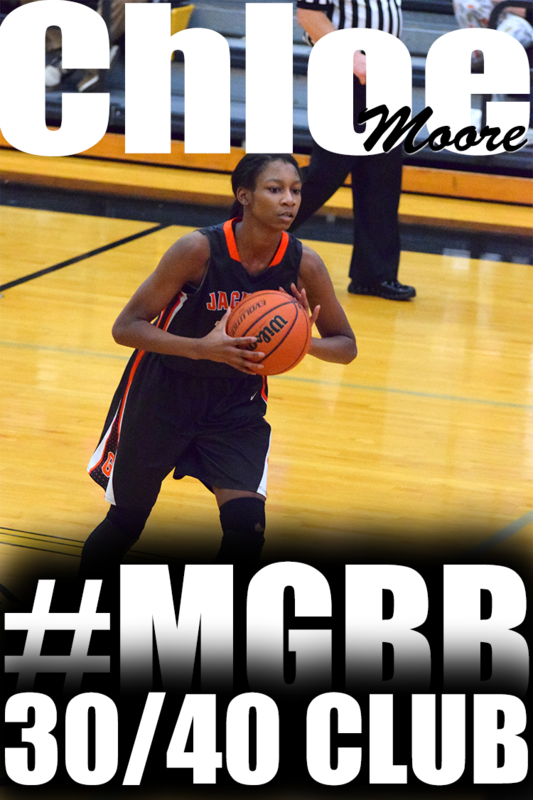 351, 5-6, PG, Amber Holmes. 2014, No. 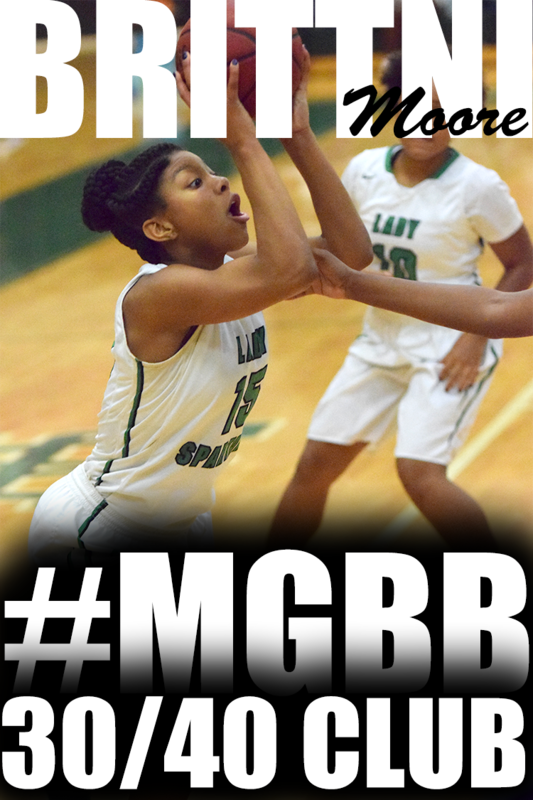 367, 5-9, SG, Kairneisha Trent. 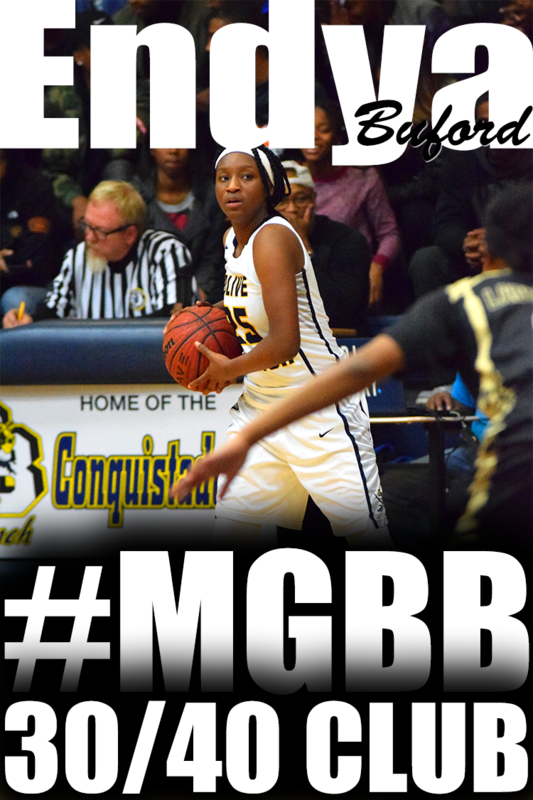 2014, 5-9, G, Kiara Golden. 2015, 6-3, C, Eryn Foster. McCormick On Why To Watch Elite Holmes: Holmes has a good handle, she can hit the three, and she is explosive to the hoop. Trent is a combo guard who knows how to score and how to get to the free throw line. Golden is another combo guard who can attack the lane or shoot from the arc. Foster is a physical, strong player with a real low post presence. We have completed the first 2 months of training for 2013. It has been a journey for some of the players and a journey for me. They have good sessions and difficult sessions. However, it is a joy to see players bounce back from a difficult session. My mission is not to keep the players at the level they are at. I challenge them to understand fundamental techniques and to increase their skills. Check out the latest video from training sessions on March 23 and 25, 2013. You will see two versions of ladder agility drills, a ball handling routine and a shooting drill I use to help players develop both left and right hands. Congratulations to Danielle Ballard (Central/LSU) and Jasmine James (Bartlett/Georgia) for making it to the Sweet 16! Training for basketball is not a one time activity. It's an activity that develops your skills over a period of time. In less than 2 months, I've watched players become better shooters, ball handlers and more confident in their abilities as a player. They're also developing an understanding that it's a process that happens over time not in one day. I enjoy coming up with different drills to help the players become quicker, shoot better, become better ball handlers, and have a better understanding of the game. Here is a drill from training on March 16, 2013 using a ladder to train left and right-handed ball handling, coordination, foot work and a little conditioning. ProspectsNation.com was in attendance scouting the Inaugural We Work Hoops Spring Exposure Camp in Murfreesboro, TN. Briarcrest's Sidney Smith took the trip up the road to participate. This is what Jonathan Hemingway thought about Sidney's performance. Our staff has seen Sidney Smith from Briarcrest High School (Memphis, Tenn.) four times in the past two years. In every viewing she fills it up from deep from behind the arc. The 5-6 guard should be a watch-list shooter in the 2014 class. How to get jr high girls to block out and rebound when you are small? I actually had this problem when I was coaching my 7th grade team. We were extremely undersized and tended to get beat up on the boards. So I found a rebounding drill from Competitive Rebounding Drills DVD by Skip Prosser. The drill helped my undersized players become more aggressive at putting a body on someone, rebounding, being quick to the ball and going after loose balls. The University of Memphis women's basketball team (17-14) has been included in the field for the 2013 WNIT it was announced Monday night. This will be the fourth consecutive post-season bid for the program under Melissa McFerrin and is the Tigers' third-straight WNIT appearance. The Tigers will play an SEC opponent on the road, playing at Arkansas, Thursday night. Memphis opened its 2012-13 season in the Preseason WNIT, defeating Grambling State in its season opener, then suffering a loss to eventual Sun Belt champions, Middle Tennessee, in the second round. The Tigers then went on the road and upended eventual Missouri Valley Conference finalists Illinois State, even while losing second-leading scorer Mooriah Rowser to injury. One game later, the Tigers lost Bilqis Abdul-Qaadir for seven games with a broken hand, then suffering a season-long four-game losing streak that included losses to UALR and Illinois, teams also in the WNIT field. Abdul-Qaadir returned in time for a 72-69 win over SEC foe Missouri, and a 73-64 win over Tennessee Tech, finalists in the Ohio Valley Conference championships. Memphis then went 8-8 in Conference USA play, sweeping the regular season series from UAB and Southern Miss before Southern Miss got the best of the third meeting with the Tigers in the opening round of the Conference USA Championships in Tulsa last week. In all, Conference USA is sending five teams into the WNIT field, including regular season champs SMU, with East Carolina, UAB and Tulane joining the Tigers in the field. This is the third straight WNIT appearance for the Tigers. After advancing to the WBI finals in Melissa McFerrin's second year at Memphis, the Tigers earned a first round home game against Alabama in 2011-12. Last year, Memphis again opened the WNIT at home, upending cross-state foe Chattanooga before falling on the road at Missouri State in the second round. 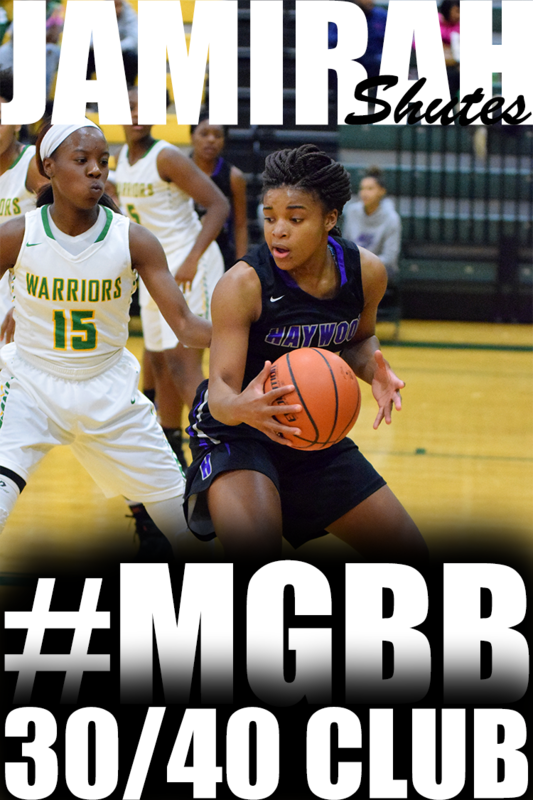 Chalk up another award for Central basketball star Nina Davis. The 6-1 senior, who has signed with Baylor, was named Gatorade player of the year for the state of Tennessee on Thursday. The award comes on the heels of the AAA Miss Basketball Award she won last Saturday. A starter since arriving at Central four years ago, Davis averaged 28.2 points and 11.4 rebounds per game as a senior, shooting 56.2 percent from the floor and 52.2 percent from 3-point range. She's a two-time Best of the Preps player of the year and was named Most Valuable Player of the state tournament as a sophomore in 2011 when Central won the championship. This season, Davis led Central to a 26-6 record and a spot in the AAA state semifinals, where the Lady Warriors lost to eventual state champion Murfreesboro Riverdale. She ends her high school career with well over 2,000 points and almost 1,000 rebounds. Davis becomes the third state winner from Memphis joining Ashley Early of Briarcrest who won in 2001 and Harding's Juana Brown who won the 1997 award. Gatorade starting announcing state winners in 1986. This means most high school teams are finishing up state tournaments. If your team is no longer competing, what are you doing? I’ve come up with 4 Must-Do Activities for you. These activities are essential if you want to come back next season as a better player. Last week, Central and Overton took the trip up to Murfreesboro for the State tournament with both teams making it to the semi-finals. Although neither team was able to bring home the trophy, Central's Nina Davis came home with the Miss Basketball title. I'm sure plenty of college coaches were in the stands along with several recruiting scouts and media. Full Court was in the building. They wrote about 2 of Memphis' rising seniors, Tia Wooten and Philecia Atkins. Tia has a great basketball body -- strong, athletic and well defined. Really her only drawback physically is that she’s a little too short to play the post at the D-1 level. If she were three or four inches taller, we would be talking about a player being recruited by all the big-time schools. As it is, Wooten has the tools to produce at the next level but the main question is at what position do you play her? She doesn’t show a ton of guard skills, although she definitely handles it well in transition and she can finish well in transition too. In the half court, she’s almost never more than 15 feet from the hoop, but at the high school level she’s very effective. 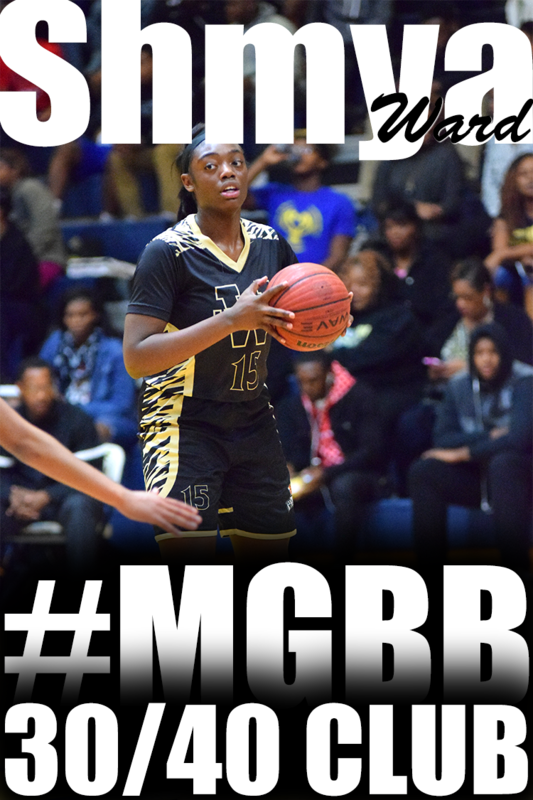 Philecia shined in several ways in the first game against Antioch, as she showed her handles off quite a few times in the process of breaking a press or getting to the basket. She isn’t the biggest guard but she definitely makes up for it with her feistiness on both sides of the ball. Her ability to knock down the long ball makes her a great complementary player to someone like Kelsey Briggs. After scoring just 20 first half points, the University of Southern Mississippi (15-15) out-scored Memphis (17-14) 47-32 in the second half in a 67-58 win over the University of Memphis in the Conference USA first round, Wednesday. In the third meeting of the season between the two teams, both teams got off to a slow offensive start and there was plenty of scouting film available from the regular season. Memphis finally started to get points in transition and an Ariel Hearn layup followed by a Lauren McGraw bucket and one put the Tigers up 20-15. Memphis then got rebounding and defense inside with the presence of junior Pa'Sonna Hope, and outlet the passes to lane runners in transition, where Hearn scored, followed by a pair of buckets from Nicole Dickson. Hope then hit the offensive glass and stuck back a pair of buckets to put the Tigers up 24-15. But then the Tigers made costly mistakes in the final minute. After Lauren McGraw picked up her second personal foul, the Tigers were upset with the call and lost Jamierra Faulkner, who drained the first three for the game from right in front of the Tigers' bench. Faulkner then tried to square up on defense against Ariel Hearn, but her falling to the floor startled the Tigers' freshman, and in trying to take advantage of the suddenly-open space, Hearn travelled on the drive to the rim. Faulkner then hurried up court and drained a jumper in the paint at the halftime buzzer to cut the Tigers' lead to 26-20 at the half. Southern Miss held a rebounding advantage early in the first half, but the Tigers had grabbed the edge at the break, 22-21. The Golden Eagles corrected that, out-rebounding Memphis 20-5 in the first 17 minutes of the second half before Ariel Hearn scored nine of Memphis' next 11 points to pull Memphis back within five at 58-53. But turnovers haunted the Tigers in the second half, and Memphis could not convert against a zone that Southern Miss did not go to until they had a 10-point lead in hand. The Golden Eagles iced the game at the free-throw line, 67-58. Hearn led Memphis with 20 points in the loss, while Dickson finished what could be her final career game at Memphis with 12 points. The Tigers will have to wait until late Monday night to see if their 17-14 record gets them into the WNIT field. In this week's episode, I give you a behind the scene look at training from March 11, 2013. I'm working with a 9th grader beginner in basketball and a 7th grader who just played her first year of basketball. I have been working with these young ladies for over a month. The 9th grader has come a long way. When we first started, she was unable to handle two basketballs at one time, all of her shots and free throws were short and weak and she could not make a layup. She is now able to dribble 2 basketballs confidently up and down the court. She's make more shots and free throws and also can make layups. The 7th grader is extremely athletic. She is learning how to handle and control all of her athleticism. She has a nice stroke but tends to shoot to the side with her body out of a balanced position. I've always felt that when you add fundamental skills to an athlete like this young lady, what a dangerous combination it would be. She is learning discipline, proper mechanics and how to read and adjust her body. I can't wait to see how much she progresses over time. In the video below, you will see how I've added intensity and basketball specific activity to the ladder drill. The video begins with the basic one foot in each square and ends with an advanced two feet in, two feet out of each square while using 3 ladders and the player have to perform a defensive slide to the next ladder. A common question I receive when it comes to recruiting is “How do I get started?”. This short video explains how to get started perfectly. Purdue: Big Ten Tournament Champions!!! Senior forward Nicole Dickson was named the CollegeSportsMadness.com C-USA Player of the Year, Saturday. The website also named Dickson a first team all-conference honoree. Dickson was named the CollegeSportsMadness.com C-USA women's basketball player of the week three times this season. She also became the first player in school history to earn C-USA Player of the Week honors four times in a single season. Dickson leads the league in scoring with 18.9 points per game and ranks among the career top 10 in scoring, top seven in rebounding, top six in blocks and top four in three-point field goals made at Memphis. She was a C-USA second team all-conference honoree last year and spent this season as a marked player for the Tigers, as one of just two returning starters from last year's squad. 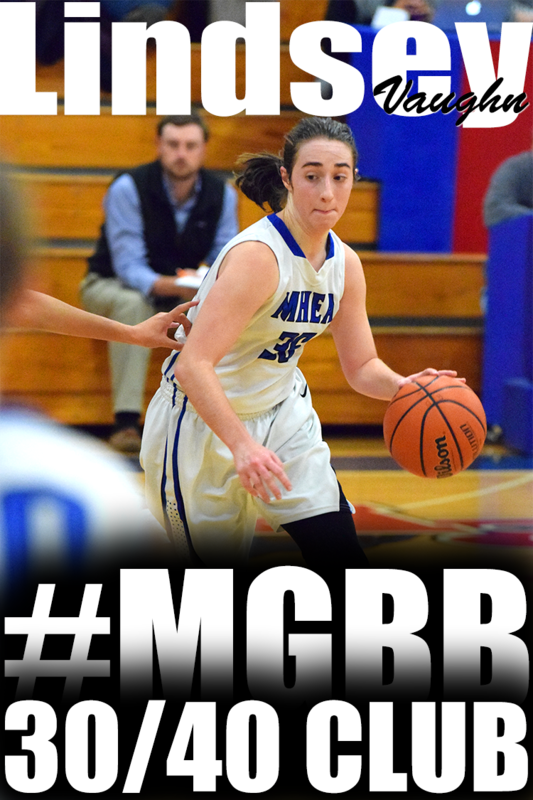 She responded with five games of 30 or more points and has scored 20 or more points 13 times this year alone. She is also the team's leading rebounder, with 7.1 rebounds a night and leads Memphis with 55 steals and ranks second with 28 blocked shots. She has scored double-digit points in all but two games this season (both Tiger victories) and has helped a team with eight new players earn the number seven seed in the upcoming Conference USA Championships. Memphis will face No. 10 seeded Southern Miss, Wednesday, in opening round play at the C-USA Championships, hosted in the Tulsa Convention Center in Tulsa, Okla.
Saturday’s Mississippi High School Activities Association Class 6A girls state championship game needed a little more than the regular 32 minutes to determine a winner. At the end at Jackson’s Mississippi Coliseum — in the fourth overtime — defending champion Forest Hill had just enough shots fall against fatigued Southaven to salvage a 76-74 victory. Lady Chargers coach David Baldwin went the entire game without a substitution but still had a chance to win late. 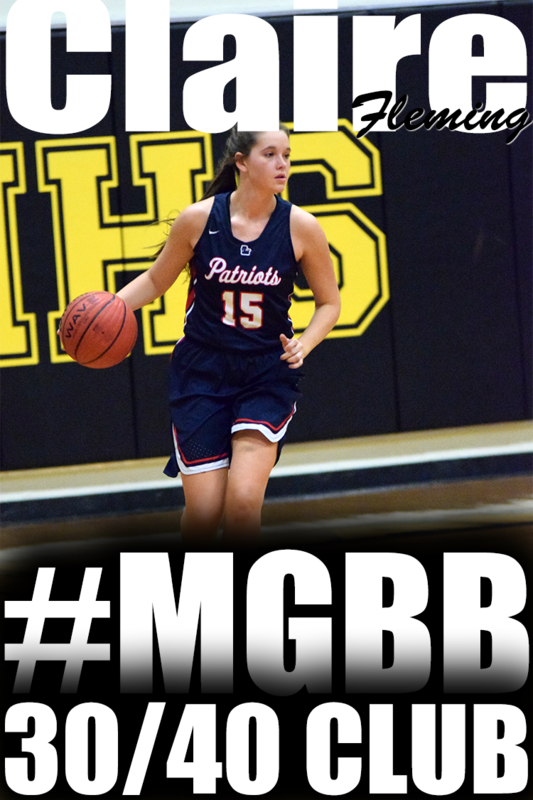 Olivia Cunningham’s inbounds pass with 2.2 seconds left in the fourth overtime made it to fellow junior A’Queen Hayes, but the shot at the buzzer was off the mark, giving the Lady Patriots (30-3) their second consecutive state title. Hayes scored the first basket of the fourth OT off the tip, but Southaven didn’t score again until the 47.9-second mark on Cunningham’s free throw. 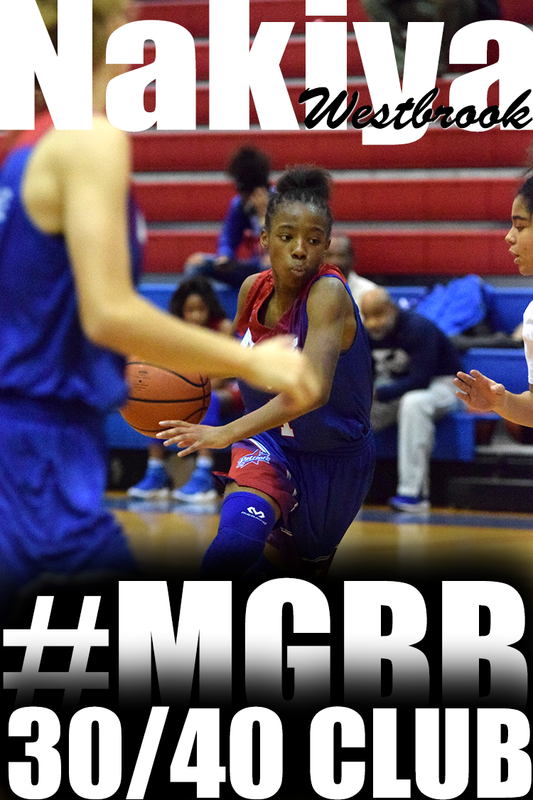 In the meantime, tournament MVP Anissa Jackson and Vanessa Bridges had key buckets for the Lady Patriots. Southaven (27-6) was nearly denied completely in the second OT until Cunningham’s jumper with 18.8 seconds left. After two free throws pushed the Forest Hill lead to 65-60, Buffalo signee Joanna Smith knocked down a 3-pointer and UT Chattanooga signee Jasmine Joyner followed with a tying basket. In the third OT, Smith made a free throw with 12.4 seconds left, but the Lady Patriots had the final say with Jackson’s jumper. Southaven scored early and often, winning the opening tip and immediately getting a basket by Hayes. Providence signee Aliyah Miller followed with a layup and the lead was 10-4 after Smith made a 3-pointer. 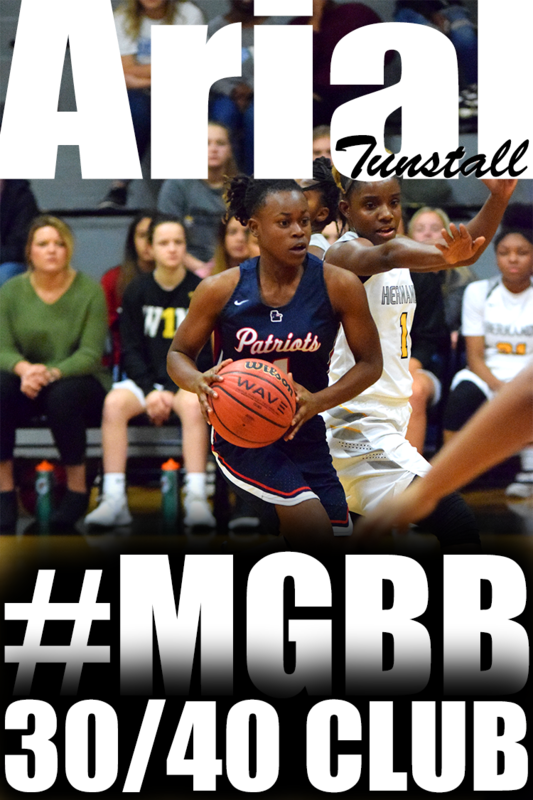 The final eight minutes of regulation were back and forth, with Collins and Claresa Banks scoring eight points apiece for the Lady Patriots, while Southaven countered with six each from Smith and Cunningham, who tied the score at 54 with three seconds left. Nina Davis found herself double-teamed one last time Saturday at the Murphy Center. But as she has for much of her Central career, Davis came out ahead. The 6-1 Davis, who is headed to Baylor next season, was named AAA Miss Basketball, becoming the first Shelby-Metro player since Lakendra Phillips of Ridgeway in 2006 to capture the AAA award. She beat out the Murfreesboro Riverdale duo of Olivia Jones and Alexa Middleton. Riverdale ended Central’s season with an 85-64 victory in Friday’s semifinals and captured its second straight state title — and 58th consecutive victory — by defeating Johnson City Science Hill 79-68 before Saturday’s awards. “Honestly, when they called my name I just froze,” she said. “Last year I was nominated and it was a little iffy, but I thought I had a good chance this year. It just feels great knowing that all my hard work for the last four years has paid off. A starter since arriving at Central four years ago, Davis averaged 28.2 points and 11.4 rebounds per game as a senior, shooting 56.2 percent from the floor and 52.2 percent from 3-point range. She’s a two-time Best of the Preps player of the year and was named Most Valuable Player of the state tournament in 2011 when Central won the championship. 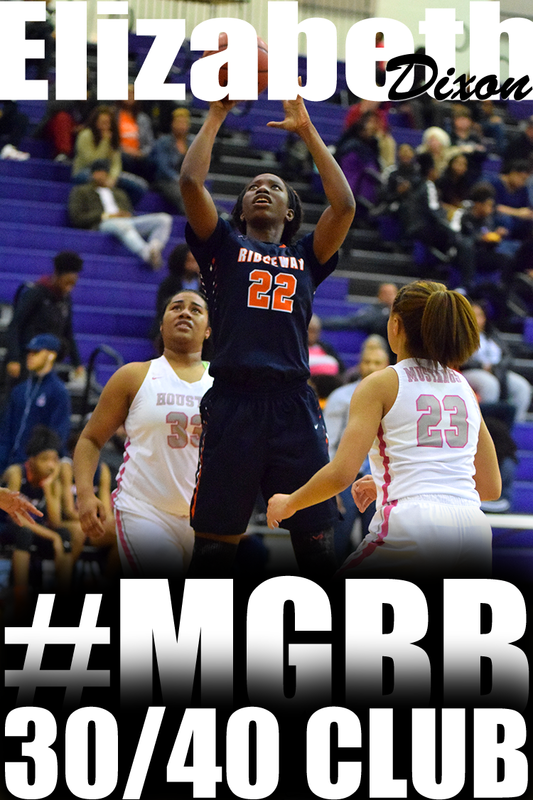 She ends her high school career with well over 2,000 points and almost 1,000 rebounds. McCray, who won the award while playing for Collierville in 1990, and Shields, who won with Melrose in 2003, are the only other Shelby-Metro players to be named Miss Basketball in Class AAA. Davis said her plans now include plenty of rest and relaxation. Just like good shooting can be contagious, so too can bad shooting. And everyone in a black Overton jersey had the bug Friday at the Murphy Center. The Wolverines, playing in their fifth straight state tournament, struggled from the floor for four quarters and lost to Johnson City Science Hill, 65-32, in a AAA semifinal. Science Hill (35-3) will meet Murfreesboro Riverdale (34-0) in Saturday's 2 p.m. title game. Overton, meanwhile, ends the season with a 32-7 record--and a sense that they could have played a lot better. "Shooting, rebounding, the whole works," said Wolverines assistant Robert Woods. "We started off good but then the momentum broke. It hurts." Overton led early 6-2 but Science Hill outscored the Wolverines 23-5 the rest of the half to take a 25-11 lead into the break. Overton connected on just 5 of 27 first-half field goal attempts, and the die was cast. Keisha Gregory hit a pair of key 3-pointers late in the second quarter to help get Science Hill off and running. "The young girl hit back-to-back 3s, that was big," said Woods. Science Hill's lead only grew after the break as Overton continued to misfire from almost every spot on the floor. For the game, the Wolverines finished 12 of 56 (21.4 percent). "Sometimes we were getting the shots we wanted," said Wolverines guard Philecia Atkins, who scored a team-high nine points but went 3 of 17 from the floor and 0 of 6 from 3-point range. "I know for me personally, I took too many shots we didn't need or shouldn't have taken." No one for Overton managed 50 percent shooting, with Georgetown signee Kelsey Briggs coming the closest (six points on 3 of 7 shooting). Compounding the Wolverines problems was Science Hill's dominance on the glass. The Hilltoppers won the rebounding battle 55-30. "We knew they had a lot of athletic players who could jump," said Science Hill's Gabby Lyons, who had 12 points and a game-high 13 boards. "We just wanted to concentrate on boxing out." Middle Tennessee State signee Shy Copney also scored 12 and Tianna Tarter had 11 for the Hilltoppers, who will be trying to win their first state title in school history today. For Overton, the ending was all-too-familiar. "We only have two seniors and a lot of people didn't expect us to make it this far," said Woods. "At this level, you're going to run up against good teams and Science Hill is a good team." Central coach Niki Bray acknowledged that her Lady Warriors probably had to play as close to perfect as possible to win their TSSAA Class AAA girls state basketball semifinal against Murfreesboro Riverdale on Friday. And when that didn’t happen, the Lady Warriors became just another in a long line of Riverdale conquests. Middle Tennessee State signee Tyisha Petty scored 23 points as Riverdale, the top team in the country according to ESPN and MaxPreps, defeated Central, 85-64. Riverdale (34-0) won its 57th straight game and will play for its second state title in a row Saturday against Johnson City Science Hill, which eliminated Overton 65-32 in the other semifinal. “We’ve got much respect for that team,” said Bray, whose team has played — and beaten — Riverdale several times in recent seasons. What undid Central (26-6) was defense; Riverdale made four 3-pointers in a decisive second quarter that saw them take a 48-32 halftime lead after leading just 20-16 after the first quarter. Petty made two in the run and Olivia Jones (22 points, nine rebounds) and Alexa Middleton (13 points) also connected from deep. Central couldn’t get any closer than 14 points during the second half. Riverdale has five 1,000-point scorers in its starting lineup and every time it looked as though Central might begin to claw back into the game, Riverdale had an answer. In her final game for the Lady Warriors, Nina Davis carried the load once again. The Baylor signee scored 31 points on 13 of 24 shooting, while staking her claim to win AAA Miss Basketball. The award will be presented at the conclusion of Saturday’s championship game. Davis is a finalist along with Jones and Middleton and Bray has no doubt about who should win. TSSAA GIRLS STATE BASKETBALL TOURNAMENT Previewing Friday’s girls Class AAA semifinal games in the TSSAA Division 1 state basketball tournament at the Murphy Center in Murfreesboro. What to watch for: Although separated by over 200 miles, a nice rivalry has developed between the two schools in recent years. The coaching staffs are close and players from both teams have competed with one another on the summer circuit. Riverdale, the defending state champ and the top-ranked team in the nation, carries a 56-game winning streak into the contest after crushing Brentwood 83-37 in Wednesday’s quarterfinals. Riverdale connected on 12 of 30 3-point attempts in that one and scored 51 points off 32 Brentwood turnovers. Handling the pressure will be key for Central today, which means junior guard Meme Hill (19 points, six assists in the 62-43 quarterfinal win over Knoxville Bearden) will need to have a big game for the Lady Warriors. Central controlled the glass against Bearden, with Darriel Johnson and Tia Wooten each grabbing 12 boards and will need to win that battle again. And needless to say, the Lady Warriors will need a big game from their star, Nina Davis, who sparked a decisive third-quarter run against Bearden. Lady Warriors coach Niki Bray said if her team worries about “beating Riverdale” it will be in big trouble. But if the Lady Warriors relax and play their game, they have a chance to score the upset. What to watch for: Overton coach Lynn Smith and his players were unanimous after Wednesday’s 51-45 quarterfinal victory over Antioch; they can do a lot better. Overton shot the ball well against the Bears (50 percent) and did a good job forcing turnovers too. The main problem was on the glass were they were out-rebounded 42-31 by a smaller team. The Wolverines will have to do better against Science Hill, which grabbed 47 boards in its 64-38 quarterfinal victory over Bradley Central. Georgetown signee Kelsey Briggs had a nice game for Overton in the opener, scoring 20 points, and she’ll need to come through again. 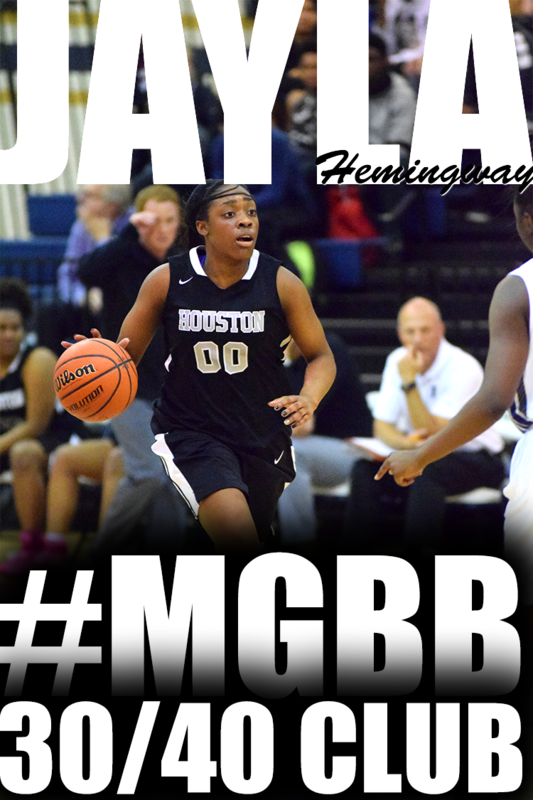 The play of guards Philecia Atkins and Amber Holmes will also be crucial. Science Hill counter with 5-10 guard Shy Copney, who scored 16 points and grabbed 10 rebounds in the quarterfinals.